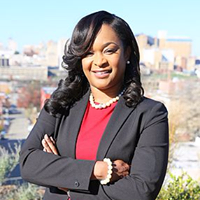 In early September, 2016, Lythos Studios was hired to work on the Mosby4Mayor campaign where Michelle Mosby was running for Mayor of the City of Richmond. Mosby had been serving on City Council and was president of the current council at that time. At our time of hire, Mosby's political Facebook page had just under 1,000 "likes". The campaign had purchased little to no advertising but found itself in the spotlight when radio ads on local Richmond stations were purchased attacking Joe Morrissey, another contender for the precious position of Mayor of the City of Richmond. Morrissey has had a nefarious background in Virginia politics and ultimately served jail time for his unethical and unlawful behavior. Mosby wrote and recorded a one minute plea to voters in the Richmond Community stating, "I wouldn't trust my daughter with Joe Morrissey and neither should you." Morrissey married a 17 year girl who was pregnant with his child and took an Alford Plea to reduce his sentence. Within that time and the day of the election, the number of Facebook likes increased by almost 4,000. Three videos were made, two that were one minute in length, and one that was nearly two minutes. The shorter videos were distributed digitally on Comcast and through digital means. Radio ads aired daily on local Radio One stations. The longer of the three videos was distributed on Facebook in select regions where Mosby needed increased name recognition. Video One delivered 99,071 impressions with 30,259 views and a 3.6% click through rate to the website. Video Two delivered 33, 678 (airing days before the election) 33,678 impressions with 8,047 views and a 3.4% click through rate to the website. How did this correlate into votes and how did the attack ads work? According to VPAP, the organization that reports gifts and expenditures for political races, Levar Stoney, who won the race spent $21.46 per vote. Jack Berry spent $21.31 per vote. Joe Morrissey spent $4.80 per vote. Michelle Mosby spent $6.02 per vote. Both Stoney and Berry spent over $700,000. Although Mosby didn't win the election, her impact was substantial. Her Facebook presence was increased over 500%; her web traffic increased over 500% and she made the front page of the largest local newspaper and discussed on multiple local talk radio stations.